I decided to post this to know what is people's final opinion on SuperChargers. What do you think of the game itself, the characters, the figures, the story, the music, the marketing, and everything else. What are your toughs on Skylanders: SuperChargers as a whole? My final thought is "Meh". I hate racing, so that ruined a lot of the game for me. Take all that out and it was still a below standard Skylanders game due to their tweaking. There just wasn't enough exploring and discovery, just about everything was handed to you and nightmare was a breeze. Some highlights were the Library level and the Collector, but it's not enough to get me to return back. I'm trying hard to forget the game really. I thought it was awful. Some of the levels were original, but that is the only positive viewpoint from me. Two steps foward, one step back. So much good from this can be kept, so much has to be changed back or into something else asap. Fun for the first playthrough, boring/too generic or downright frustrating going foward. Marketing was straight up the worst in the franchise, no two ways about it. Great game, good Skylanders feeling, terrible toy and marketing experience. What's there is well done, but it's not enough for neither a spectacular racing game nor a Skylanders one: guess it happens when you force a gimmick in a game which has nothing to do with it. Hope vehicles will have a smarter use in the future, because they do have potential. Decent game bogged down by mediocre gimmick and marketing decisions. Lacks a whole lot of compelling replayability. Seriously? No Arena Mode... Weak! Trap Team had two versions of Arena Mode. There is no excuse for this. Good game. Story was probably the best in my opinion with a great ending. Kind of meh gimmick this time, but it changed things enough to make this entry stand on its own, for good or bad, and not feel like "just another skylanders game". Great story, horrible marketing. The vehicles were way to forced but overall I think it was a good game. This is my least favorite Skylanders Game in the series. The main problem is that you need a vehicle to complete the story, imagine that you lost it. I like the racing, but it's quite similar to Mario Kart, Sonic and Sega: All-Stars Racing Transformed and Diddy Kong Racing. Mostly after I finished the game than I think that its the best game of the franchise (it changes sometimes), but after I finished this game than I tough: 'Finally FREEDOM!!!!'. This game gave me seizures and I almost never played SC again. There is also not much to do after SC, at least there were something like Kaos Boom Challange and Arena Challenges in TT. In my opinion I like Skylanders SC Racing and Battlecast more than this. My final problem is that the updates need much space to get downloaded on my Wii U so I had to uninstall my Wii U version of TT that I got for free with the Wii starter pack from TT. This game was not bad and not good at the same time. Good story and the first playthrough was enjoyable, though after that I can't get myself to play the game again. I still haven't finished it! But maybe there's a reason for that? I mean, IMO it had the worst beginning in the series (I didn't like the first level at all) and that kinda set the tone for the rest of my play-through. I think the story was pretty good, but man, did I hate that gimmick. I enjoy the sea and sky sections but the mandatory land sections ruin the 'flow' of a level and for me are just so boring. Not enough new characters, also. Everything else: I dunno, but this game has left a sour taste in my mouth. I just got it recently, so my opinion is likely biased in the new game hype I have for it, but I'll try to look at it without the hype lens. I've also only just gotten past Ridepocolypse Demo Derby since I'm taking it slow as to give myself time to find more figures for cheaper. Characters: Eh, it's a kids game, and they're characters in a kids game. Cartoonish, narcissistic, and fairly one-note. Can't give it too much flak since I've seen worse, but no one's particularly impressive. Figures: VV, there's more character designs out there than bipedal/horizontal body/humanlike characters. Some of them are nice, but I'd really like more of the likes of Sonic Boom, Scratch, and the dragons. The beauty of Skylanders is though, that all old characters work! So this disappointment is pretty minor. Story: Can't fully take note as I haven't seen the ending yet. The storytelling could really have been improved; like I noticed the atmospheric differences after different events happen, but the music stays as cheerful as ever, and nothing of consequence to the player ever gets affected or even moved. There's also quite a bit of immersion-breaking, like the fact that you can put a vehicle on the portal after people talk to you when you first start up the game, even though vehicle is supposed to be the thing that lets you contact the Skylands in the first place! And the fact that you can access Portal Master stuff way before you rescue Eon. Music: Good as ever! Not payed a huge amount of attention to the soundtrack yet, but it all sounds Skylanders-y. Marketing: N/A. Didn't pay attention past release until now, and of course they're focusing on things other than last year's game right now. And finally, the game as a whole: So far, it's one of my absolute favorite Skylanders games. Not quite sure where it falls in comparison to Swap Force yet, but it definitely gets points for having a lot of gameplay variety from just the Starter Pack. Granted, I had a Sea Vehicle and a Sky Vehicle from the start, so I didn't get the Starter-Pack-only experience like I did with Trap Team. Racing is a fun alternate mode, and I personally like it more than any battling extra mode, but that's just because I'm not a fan of the combat. Granted, it would have been nice to have it in addition to an Arena-style mode, but if I had to choose one or the other, Racing would be my choice. The online idea is also nice, but it's very unfortunate that no one ever seems to be online! I saw someone once, but they stopped playing before I could join a game with them. Pretty disappointing when my previous online game experience was Mario Kart Wii which had people playing it for years past when it came out. It's also a shame there's so few tracks in the main version. The continued lack of elemental gates is also somewhat frustrating. I initially had a Skylander of each element to play with, but found that I had absolutely no reason to use any particular one. So now I'm just playing with the Superchargers since they need upgrading, and having Series 1 Spyro only there for backup. Another positive thing is that it does give reason to go back into old levels through Tessa's quests. And quests in general. Probably won't add too much replay value, but having something to do to get new collectables is nice. Overall, it may look like I'm being critical, but there's a lot I love about the game. The worlds have life, which TFB games seem to lack. The graphics are gorgeous, the levels are unique, and each one includes something for the Sea and Sky vehicles to do, and often that's something different from before. As someone who prefers maneuvering and exploring to combat, this game works. It's not the best video game I've ever played, but it passes with flying colors as far as Skylanders games go. It's fun, but again, it's always two steps forward, one step backwards and sideways with them. Tessa's quests are fun though, but I wish I had better luck with 'em; she NEVER stops giving me the Derby quest, even though I haven't finished all the quests yet. Enjoyable but not the best in the series. Love it. Love it love it love it. It has its problems but I love it. Stupidest idea since stupid ideas were invented. Skylanders should NEVER have been turned into a racing game. If you want to race - go buy Mario Karts. Some great levels that are ruined by a lack of exploring. Having hats, legendary items etc appearing randomly killed the enjoyment for me. Stupid idea by stupid people but then VV showed in SSF that they don't have a feel for the franchise. What will they do next, a Skylanders Sports? They would be stupid enough to try. Best to forget that this ever happened and move on. I get the feeling Activision have already tried to put it out of their minds. Best game in the series. The story was incredible and so exciting. The levels were awesome, with Ridepocalypse and Monstrous Isles being my two favorites. The characters were super fun to play with, such as Dive-Clops and Smash Hit. The vehicles were fun to play with and had awesome designs. I personally like racing stuff, so I liked the gimmick very much. Yes, it did make mistakes. The Starter Pack Apocalypse was ridiculous, and it was annoying how they released Bowser and Donkey Kong in individual packs later in the year, even though they said that they were only in Starter Packs. However, the game and characters were brilliant, which is why the game was so good for me. In a final score, I'll give it a solid 9.5/10. Sadly, I agree. And everyone here knows how much props I gave VV for Swap Force. Exactly the same as it was before. By far the worst game in the series. 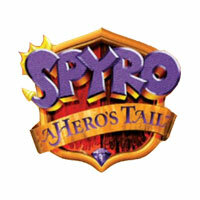 The story is overrated and has loads of Flynn being annoying and rushed pacing, the game has been incredibly buggy for me, RNG collectables and other RNG aspects to the game are annoying, new quest systems are even more repetitive than before and waste more time for horribly boring objectives, racing is mediocre and really doesn't carry the game like it needed something to do, because it has little other replay value to the point that's inexcusable, and speaking of which there are hardly any new Skylanders and honestly I thought half of them were bad and none are real favorites, the onfoot that is there is lacking and ridiculously easy no matter the difficulty, then vehicle sections take up a ridiculous amount of time and have ridiculous difficulty... Oh please, don't get me started on the vehicle segments, I've written bullet points on lists about why I hate them so much that're as long as this rant so far. I'm serious. The controls are poor, they just don't work with the flow of almost all the levels, they're almost all sickeningly simplistic- I'll stop myself. The only things I don't really have any complaints about are that the new Skystones game is pretty good (but should have had online matchmaking), there are some concepts in the story I like (but that's another rant), the environments are pretty fun and Vault of The Ancients is the only good level in the game to me, and it's a great one, it's a shame those (and the good Skylanders that were added, like BBRB and High Volt) couldn't be in a better game. Or a good game at all. In my opinion, Superchargers is the only console Skylanders game which is outright bad so far. I had more fun playing Sonic 06 even after the novelty of it being so awful wore off and I was just slogging through Shadow's missions, and if I had to choose, I would rather replay that from the start. Superchargers was clearly rushed somehow and more focused on coming up with cool gimmicks than using them in smart ways or fleshing itself out. It's a shame because the level gimmicks really are creative, and they could have made for the best levels in the series if it weren't for the vehicle sections wasting development time and getting shoehorned in too, but the creative potential there is all overshadowed by all the crap in this game! I really wish I could have liked this game... But it was exactly what I dreaded during prerelease. I hated this game. Hated hated hated hated hated this game. Hated it. Hated every simpering stupid vacant audience-insulting moment of it. Hated the sensibility that thought anyone would like it. Hated the implied insult to the audience by its belief that anyone would be entertained by it. And all that I needed to like it would've been a good, meaty equivalent to Survival Mode (Battlebrawl is horribly short, easy, far less streamlined to boot up and doesn't really have the same design style). ... The 3DS version, while it lacks polish, isn't bad though. It's definitely no Mario Kart and not worth getting unless you already have a good collection, but the racing is faster-paced and the track design and different modes are nice. I think this is a pretty good game, Not the best, but still enjoyable in my opinion. I've had generally favorable impressions of the first three, with mixed coming in for TT. SC was the first entry where my opinion was weighted more on the heavy side. There's something good in it, but I weigh heavily on fun and replay, and this one had huge gaps in these areas. Btw, I hope they now understand that the "gimmick" doesn't provide replay. It's CONTENT + GIMMICK -- VV paid dearly for that in SC. Pretty nice story and cutscenes, bland and meh gameplay. The vehicles were the most forced gimmick yet, and the fact that you had to constantly slip around in them in the levels frustrated me. The character selection had a few decent characters, but not many of them impressed me. It has to be my least favorite game in the series, right behind SF. Overall, there were some improvements, and some downgrades. But I still enjoyed the thrill of another game nonetheless. Hub: 6/10 I don't hate it, but I don't really.. just... eehhh. too small. Music: 10/10 Best music I've heard out of every game. Total: 56 soo uuuhhhh too lazy to do math. Overall, a decent game. Final Words: This is probably one of my favorite games, because of the incredible story line. I didn't really like the gimmick. I sorta felt like it was uncreative. The the level designs were amazing, and in general great, but a lot of them felt like fillers. The characters were pretty good but didn't enjoy not having any 4 legged characters. Spyro can drive a car so why couldn't you make more Dragons or whatever? The music was exceptional, and the graphics were great too. So overall, a pretty decent game. Can't wait for the next! Honest opinion: I like the game, but not as much as previous chapters. My son and I have played all of the Skylanders games since the original and this is (in my son's opinion) by far the worst offering of the series. The cars were a "big mistake" in his eyes since any racing style game is a direct compete with Mario Kart and the driving controls in S:SC are abysmal. We actually have not finished the game yet because I can't get him to play it. :-\ We might never finish it at the current rate. Honestly? The worst in the series. I just didn't enjoy it as much as the other games. I completed the main story back in 2015, and haven't touched it since. It's not a terrible game, and I didn't completely hate it, but it just didn't do it for me like the other games did. I might give it another shot over the summer, since I never really played any of the races because I found the driving sections in the main story to be really boring. Maybe my opinion will change. Idk. But as of right now, I think it's mediocre. Worst in the series by far. Swap Force wasn't very good either IMO, but this was not good. I love Kart Racing games and they are a ton of fun. NOW, as a SEPARATE stand alone game? SC would have been a great Kart Racing game and thats all it should have been. The main problem is that you need a vehicle to complete the story, imagine that you lost it. Technically you only need a vehicle if you're using the Superchargers portal. You can play with a digital vehicle if you use any other portal. That said though, I must add that the Racing game on 3DS & Wii is actually a lot of fun ( I have it on 3DS ). Bowser & DK ( plus their vehicles ) would have to be removed, but I'd love to see a port or sequel released on Xbox One & PS4. Every other level was generic filler, or a BS Gimmick, and I hated it. Cap'n Clucks - Good level, but every area looks the same. You can't tell one part of the map from the other. Vault of the Ancients - Magnets? Really? ANOTHER GIMMICK LEVEL, that eithr pushes enemies away or towards you. This combat is total BS. The Sky Eater - Okay level. Not a fan of the world-design but not awful. Well, for me super chargers is my least favorite game in the series. Lemme go over some pros and cons. Too much usage of the gimmick. I had very little time to explore the new skylanders. This game is the worst in the series, but I'm sure imagaintors will make up for it. I waited until I finished the main story until I decided to post my opinion of Superchargers. Let me say that my daughter and I have 100% finished all of the other games and we own 272 Skylanders, 19 vehicles and 88 other items (traps, legendary items and such). We love playing through the adventures, defeating enemies, leveling up characters, upgrading their powers and just in general the fun nature of the games. My score of Skylanders: Superchargers? First off, notice that the Superchargers score is mine, not ours. She had 0 interest in playing this game. She actually thought some of the vehicles toys were cool but just watching me play and become more and more frustrated she decided this wasn't for her. It actually took me a long time to decide to play it myself. I bought it at Christmas for 50% off (I bought all of the other games upon release) and it sat on my shelf until I finished everything in Disney Infinity (R.I.P. we will miss you) and then we 100% completed Lego Dimensions. As you can see, we have some experience with Toy to Life games. Once Toys R Us started selling the figures for buy 1 get 2 free and other sales like that I finally decided to play. If I'm going to play these games I need to be able to see all of the content. I know I don't have to but that's how I choose to play. We bought 1 of each vehicle and 1 of each character (having to settle for Eggcited Thrillipede). We also bought the Kaos Trophy and all 3 racing packs so that we could do everything the game has to offer. Ready to play I settled in for fun...and was immediately disappointed. There was no real explanation of what any of this stuff was. They added a lot with the vehicles but no real explanation of the upgrade system or what Gearbits are or how they work. What are these other upgrade slots? How do I find the pieces for those? We eventually figured it out of course but that just emphasizes my biggest issues with the game. It's really disjointed and confusing. The levels just come at you at random with no real cohesion between world. Every level felt like I was playing a completely different game. The driving, flying and boating areas in the hub are all completely different and don't feel even. I can fight vehicles in the driving area...cool. I can't fight them anywhere else...not cool. There is a place to drive each combo of character and vehicle...ok. There is a place to drive each elemental vehicle...ok. Why am I doing either of those things? Again, everything feels random and disjointed. They have somehow managed at the same time to have too much to do and not enough to do. * TOO MANY ALTS!!!! For the love of Pete, almost every character and vehicle has an alt. I've always bought them in the past but not this time. 1 of each is enough. Yes, yes, I know I don't have to buy them but if you limit them and make them interesting I WILL buy them. * Not NEARLY enough enemy combat. Most levels felt like I was wandering though after some other Skylander had already beaten the level. * Not enough breakables. I remember playing the other games and breaking a ton of stuff and having treasure pop out all over the place. I was constantly hitting the attack button. Here, I was only moving the joystick and hitting the jump button. * In general there just wasn't enough to do in the levels. * The random nature of finding things. It used to be "this has a hat, this has money, etc..." now I wasn't sure what I was looking for and what I was missing. Big slot machines, little chests, presents...who knows what you'll get out of any of these. * Same thing with the tool chests in the driving areas. Not a fan of random collectibles. * No evidence of playtesting for the vehicle challenges. Some of these were extremely easy and I finished them one my first try after making several bad moves. Some of them were incredibly frustrating (getting the rocks into the turbines for one example). There was just no consistency with the difficulty of these challenges. * Kaos is not offering his daily Skystones challenge. He still complains about being beaten. I can't play him anymore at all. * The entire Buzz challenge system (please stop saying Ninja Commando!) After doing this for one or two characters it gets incredibly boring. Kill 20 of these, shoot 50 of these with this vehicle weapon...GAH!!!! At least the final challenge was usually different. * Having to re-buy hats!!!! I already bought them in the other games!!! At least trap team allowed you to load them in. I know that got boring to do but I didn't feel like I was being cheated. Fortunately I had sevel characters with 65,000 gems from the last game that allowed me to buy them all. * No real place to put the Legendary Treasures. I spent the first few days just placing them in a circle around me and then picking them up and placing new ones. This got old fast. so now I just shoved all the ones that give you money in a pile on the ship. This is better but it would be nice to have a Trophy Room where I could easily place them all and admire them. * The HUB is just confusing and messy with no real thought given to how someone would move through it. * This is nitpicky I know but I like that all of your Skylander amounts for each element are on the wall behind Eon. However, you can zoom in on them...why? I can see them fine without zooming. Zooming does nothing. At least add some stats or the ability to scroll through your characters. * This is a general criticism of the series. Please add characters level, stats and upgrades to the character screen. Meaning, I want somewhere in-game where I can easily see what characters I own, what level they are, what upgrades they have and how much money they have all on one scrolling screen. I actually had to make a spreadsheet and write everything down so I could keep track of it. * The story was fine but I'm really getting tired of the writing for Flynn. It's pretty much the same thing every time. * The racing section is decent but really hard to tell what's going on. I still don't really know what the blue vial things do. Again, some sort of explanation would be really helpful. * The character and vehicles in general are nicely designed. Nothing amazing, but nothing horrible. * The driving in general was okay once I got used to it. * Skystones was fun to play but incredibly easy. I've never lost a match. * The level gimmicks were fun, but, as I mentioned earlier seemed a bit disjointed. As you can see, nothing on the good list is just good. There's always some issue with it. You are not only going to put in something where I can spend real money to buy cosmetic upgrade for the vehicle, you're going to put commercials in there in the form of some robot trying to sell me crap!!!! Here's hoping Toys for Bob can bring some respectability back to the series. Or maybe I'm just done with it. Oh yeah, I forgot it was THIS game that introduced path switching. Props for that getting added, and it should become a series mainstay- but still feeling the same on everything else. Great aesthetics and some clever ideas, but onfoot is terribly lacking, vehicles are just godawful and postgame is utterly barebones. It says something when the first game of the series had arguably better replay value overall (and far better replay value for those of us who dislike the vehicles). for my experiences with this game compared to the other Skylanders games: boring! with lack of exploring areas for treasure, nearly no battle arenas to test out my newly bought Skylander, the raids against the sky pirate's ship is almost always a puzzle to solve or a 'find the key', but rarely any fighting! the magic items got reduced from helpful items to decorations at the academy. seriously, they need to bring Skylanders back to their roots, with exploring, fighting enemies, collecting treasure, finding secret areas with rewards, and solving a couple of puzzles. I didn't have any interest to keep playing the 3DS version. as for the racing, come on guys, I want to see less Hot streak racers! And after seeing them updating this game with new features, I felted they should given some love to the older games. overall after replaying the older makes me nostalgic on just how much better they are compared to Super charging. I haven't yet played SC, but I am surprised that many are calling this the worse Skylanders game ever. I guess I am fortunate to have missed out on this game. Racing was interesting for a second and I loved the level designs, but in the end I beat the game and had nothing to do except repeat the levels to upgrade my characters and I got bored before half of them even got their soul gems. Overall: exiting at first, but quickly dropped to worst game. Honest opinion: My son and I have played all of the Skylanders games since the original and this is (in my son's opinion) by far the worst offering of the series. The cars were a "big mistake" in his eyes since any racing style game is a direct compete with Mario Kart and the driving controls in S:SC are abysmal. It's like you took the words right out of my mouth. If I posted my comments earlier, this is exactly what I would have said to a T.
Overall Probably the weakest entry into the series. My kids lost interest in Skylander thanks to SuperCharger because they aren't good at driving, and this game forces you to do tons of it. I don't think we will be getting this year's set either.